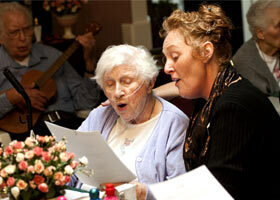 Quail Garden is a Residential Care Facility for the Elderly. Located in a quiet, residential neighborhood, the wide, tree-lined streets are close to downtown shopping and conveniences. Quail Garden is part of Old Town Livermore. Our building was first known as St. Paul's Hospital and built in 1927. Many local people were born and cared for here. At Quail Garden we care about your senior with all the love that is deserving of each of us, as we reach our Golden Years. 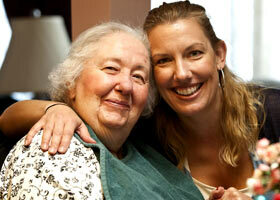 When your senior comes to live here, you can be assured that he or she will be happy and well cared for every day. 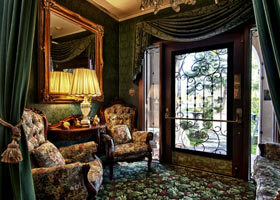 You will enjoy visiting in our lovely garden or playing games with your loved one in their beautifully decorated home. 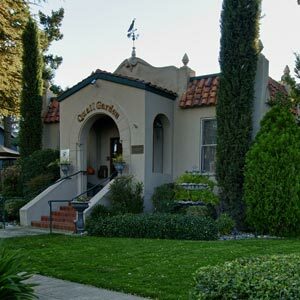 Quail Garden provides a loving family environment, cozy living space, family style meals, caring staff, both private and semi-private rooms, on-site 24/7 staff, an activities and game room, all in a convenient location in the heart of Livermore's Historic Downtown. We subscribe to the philosophy that the individual should have the right to choose the setting in which he/she wishes to receive the care and services that he/she needs and desires. There are so many important points to consider in choosing an assisted living facility that we have put together a guide and a worksheet to assist you. Quail Garden is licensed by the Department of Social Services of the State of California, License Number 015600304. 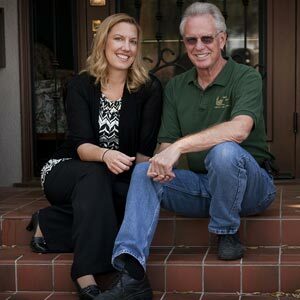 Pictured right, Bob Londagin and daughter, Alicia Peacock. Quail Garden was started in August of 1998 and is still operated by the Londagin family. Alicia Peacock is Quail Garden's administrator. 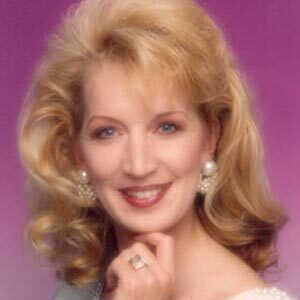 In Loving Memory of Diane, without whose guidance and inspiration, Quail Garden would not be what it is today. 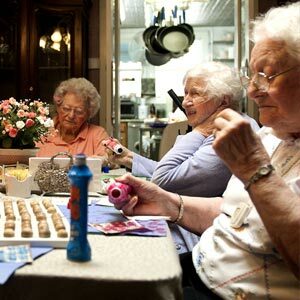 Selecting an appropriate assisted living facility for your loved one is one of the most important decisions you will ever make. The proper facility will make the difference in the mental, social, and physical well-being of your loved one. To be able to expect and have your privacy. To help you, we have put together a guide and also a worksheet to assist you in choosing the home that is right or your loved one. If you have any questions, we hope you will contact us!